Forged in 1 piece from highest grade trowel steel, tempered, ground and polished. Soft grip handle. 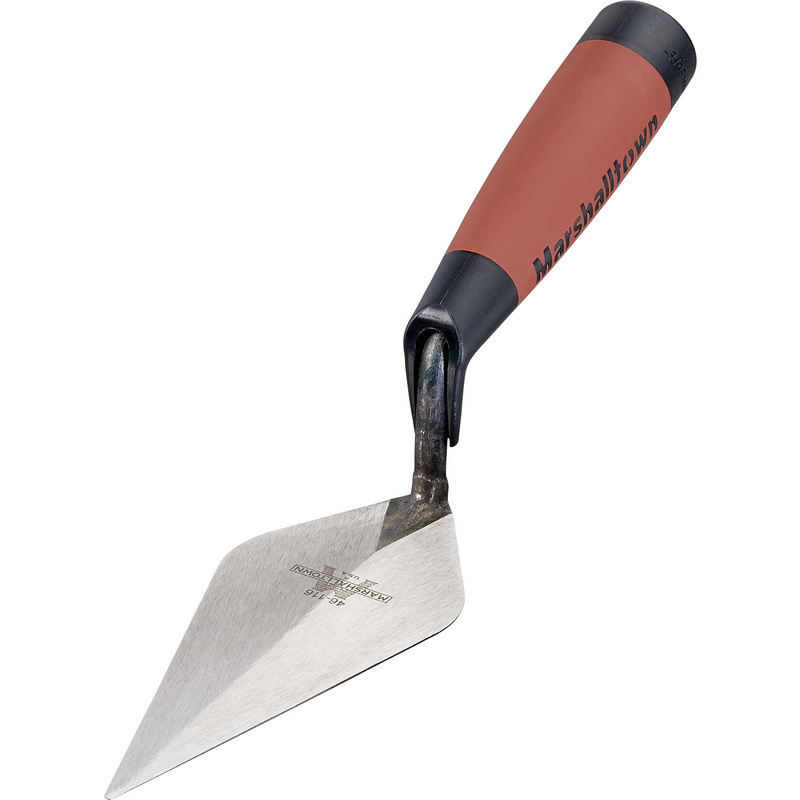 Marshalltown Pointing Trowel 6" is rated 5.0 out of 5 by 5. Rated 5 out of 5 by Mac 1 from marshalltown pointing Trowel 4inch Just the size I wanted. Most trowels available are 5 to 6 inch. I have only pointed up around 1 square metre of wall so far but the trowel has a comfortable handle, cleans easily after use and feels like a quality tool. I am very pleased with the product. Marshalltown are not the cheapest but in my opinion are one of the best. Rated 5 out of 5 by MICO from Nice trowel Nice trowel. Well made. I used it for small masonry repairs and pointing. Rated 5 out of 5 by gnidleif from all good good selection, good product, quick service and good price. Rated 5 out of 5 by Gavin from Best ever bricklaying/pointing trowels. Used this to reprint a full house after breaking it in on an old garden wall. Fab piece of kit. Great balance and handling. Doesn't fell cheap and chatty.